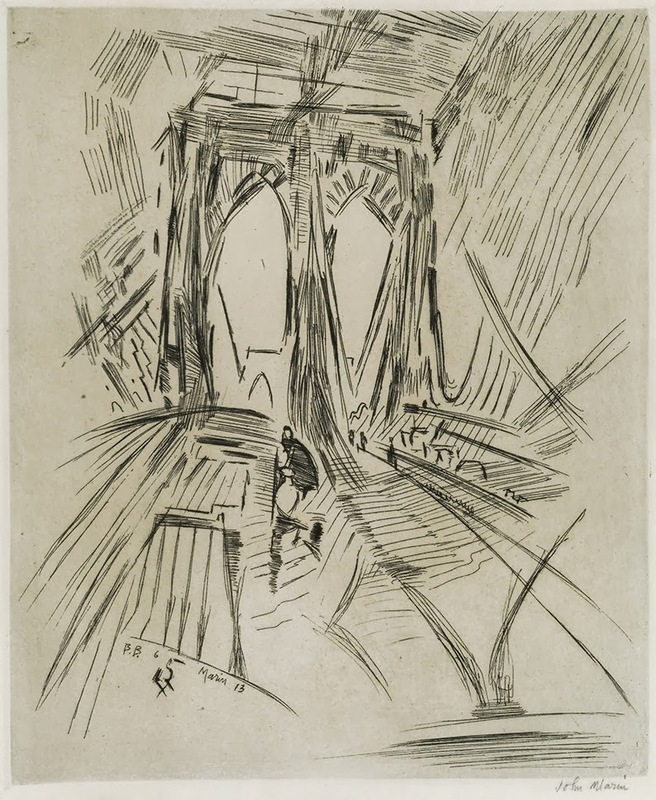 Lot 268 is John Marin’s Brooklyn Bridge and Lower New York, etching and drypoint, 1913. 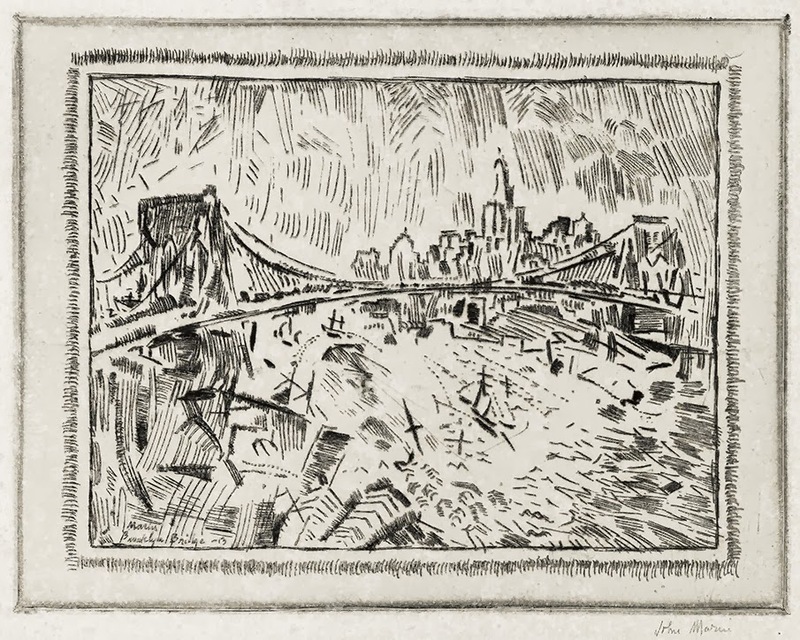 Swann Galleries’ March 6 auction of 19th & 20th Century Prints & Drawings features a run of etchings by John Marin that capture the dynamism of New York City and the ever familiar arches of the Brooklyn Bridge. Not only are these striking views of the city we love, they also have a fascinating association: the prints were published by Alfred Steiglitz, the pioneering photographer and modern art gallery owner. Stieglitz focused on the European avant-garde and also fostered and propelled the careers of important American Modernists. 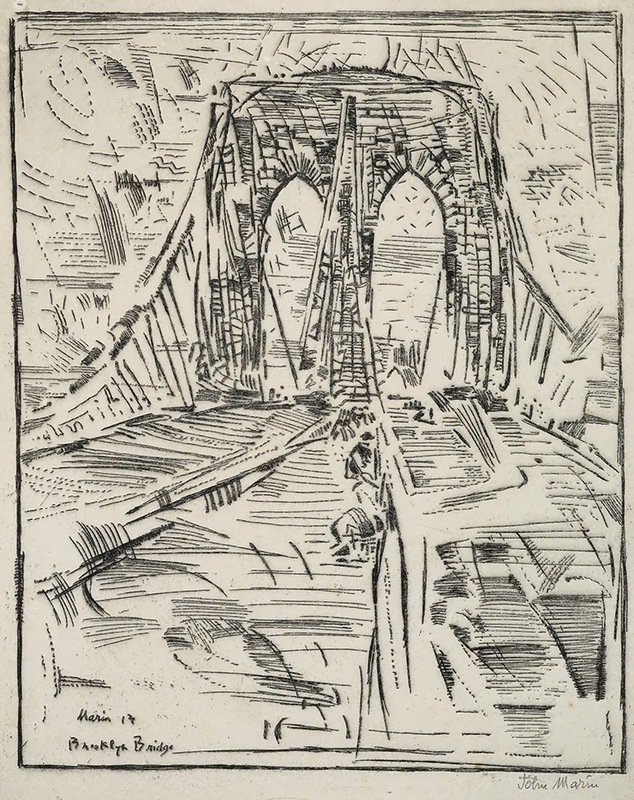 Lot 269 is Marin’s Brooklyn Bridge No. 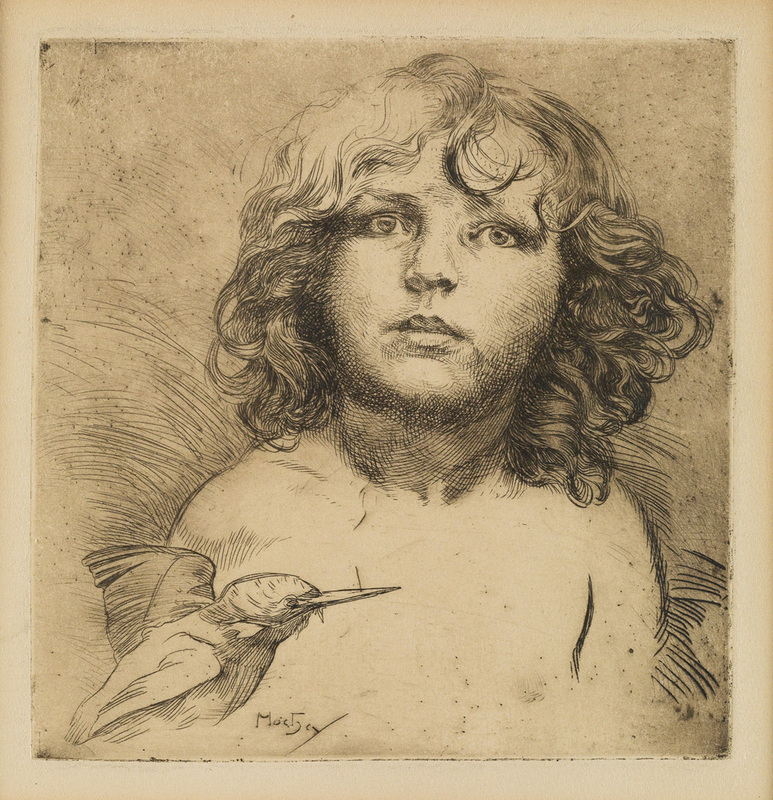 6, etching and drypoint, 1913. Marin, who became renowned for his abstract watercolors, was closely associated with Stieglitz. Their rapport began when Marin met Stieglitz’s agent Edward Steichen in 1908, and was followed by a visit to Marin’s Parisian apartment from Stieglitz himself. Stieglitz was extremely impressed and subsequently held an exhibition for the artist at his 291 Gallery the following year. Lot 270 is Marin’s Brooklyn Bridge, No. 6 (Swaying), etching, 1913. Upon Marin’s return to America in 1911, Stieglitz supplied him with a yearly stipend to support and encourage his artistic output and continued to exhibit his work prominently–an arrangement that undoubtedly pushed Marin to pursue art to a greater degree than he would have on his own. When 291 closed in 1917, Stieglitz continued to promote Marin’s work and facilitated his recognition as a forerunner of American Modernism. Marin’s abstractions of various buildings and structures of New York City capture the awe that the artist felt among the city’s groundbreaking modern architecture. The Brooklyn Bridge (completed in 1883) was an icon of modern architecture and engineering, the longest suspension bridge (and the first constructed of steel-wire) ever built, and a sublime symbol of change as well as the optimism of new technology. 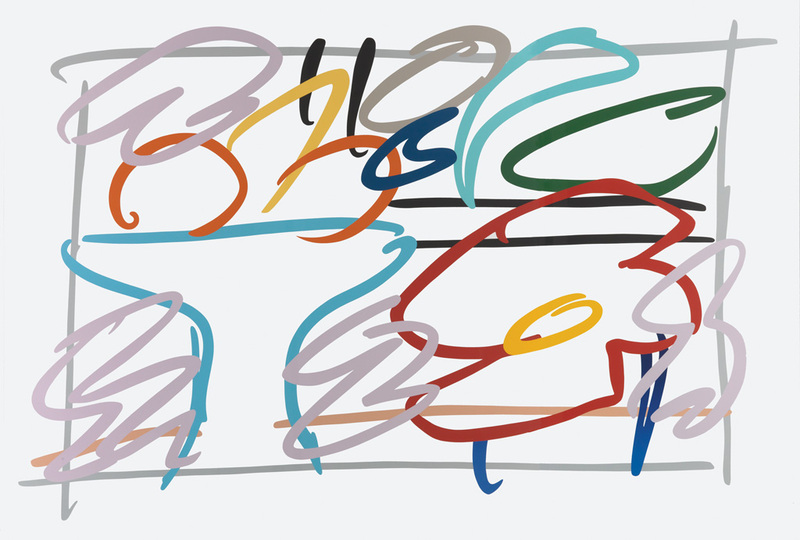 Marin repeatedly returned to imagery of the Bridge, abstracting and manipulating it to capture the energy, anxiety and excitement of the city.